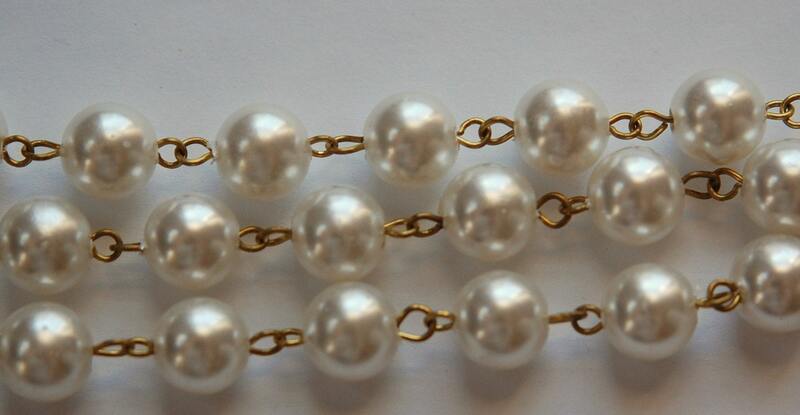 This is vintage acrylic pearl beaded chain. The color is a shade of white. The links are raw brass. The beads measure 10mm. You will receive 3 feet. This is cut to order. If you would like a longer continuous piece convo us for a listing. Schöne Farbe, Glanz einer echten Perle sehr ähnlich. Beautiful items, thank you so very much! Wonderful, will be back for sure! !